If you’re ready to start connecting with your customers through Facebook, then it’s time to brush up on your social media skills. Taking the proper approach can not only gain you respect from your followers, but it should also capture more followers for your page. We’ve put together a list of tips you can use in order to create an engaging Facebook page for your business. It’s amazing how much impact a cover photo can have, but the fact of the matter is that it can either capture interest or turn people away. You want to be sure you pick that perfect cover photo for your Facebook page. Don’t be afraid to change it up, too, but you’ll just need to give it the same amount of thought each time. It’s a good idea to make it something recognisable, interesting, and representative of your brand. Generic photos don’t tend to get a great reception. As well, keep the specifics in mind as far as dimensions are concerned. Your cover photo needs to be 851 pixels in width and 315 pixels in height. It’s also a good idea to give your cover photo a little added value. What we mean by this is that you can add a call-to-action right in your cover photo. It’s just another way to engage with visitors. Another tip is to set your sights on getting targeted likes. What this means is people that will actively comment, like, and even share your posts on a regular basis. This helps to get the word out and suddenly you’ll start to appear in their friends’ timelines. It’s free marketing if you will, and it will help to draw in more visitors and followers. Be sure to do a good job of keeping your content balanced. What that means is that you don’t want your Facebook page to be all links to stories, pure text, or pure photos. Instead create a mixture of different posts. It keeps things interesting, which also keeps your followers intrigued. They will come back on a regular basis to see what you’ve posted now. As a side note, one of the best types of content you can add to your page is video, so don’t underestimate how powerful this content can be. Many businesses end up posting content that is based on current trends or news. The problem with this content is that it doesn’t have staying power. As a general rule of thumb it is suggested you post content that has lasting power of six to 12 months, meaning it can stay relevant and interesting for that long. 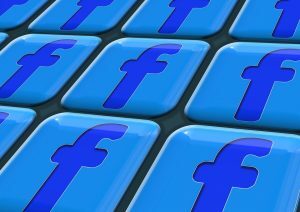 When it comes to Facebook it’s really a matter of decoding the tricks and tips that experts use to bring people to their page. Your results may not be immediate, but over time you should start to see an increase in interest.